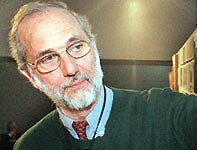 Renzo Piano, the world-renowned independent and non-conformist architect (b. 1937 in Genoa), owes his fame in part to the vast scope of his work. 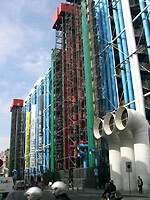 From the Pompidou Center in Paris to the recently inaugurated Centre Jean-Marie Tjibaou in New Caledonia, and from the De Menil Museum in Houston and the Kansai International Airport Terminal in Japan to the New York Times tower in Manhattan and the San Nicola Stadium in Italy, Renzo Piano constructions are found throughout the world. By following three projects at different stages of progress-including the Padre Pio liturgical center and the Nola Cultural & Commercial Center in Italy, the first discussions about the Paul Klee Museum in Bern, and the opening of the reconstructed Potsdam Square in Berlin-RENZO PIANO examines the artistic philosophy of Piano and the working methods of his Renzo Piano Building Workshop. Jetting from one architect design workshop to another, and from one worksite to another, we see how Piano stays true to the artisan approach that underlies his initial creations, and his efforts to find answers to the specific problems of these projects in terms of the history and geography of the construction locales, their function and the financial context. Throughout the film, during work sessions and consultations, and in voice-over commentary, Piano explains his views of architecture as a "contaminated art," one in which the artist must contend with such issues as people in power, time, schedule, and technical problems. He believes that architecture should not be a socially isolated practice but one that coexists with other disciplines such as science, technology, sociology, and anthropology. On a more spiritual level, he describes architecture as the "construction of emotions with space," whereby buildings should become a focus for social encounters, offering the public an opportunity for contemplation, silence, and dialogue. As a revealing personal and professional portrait, RENZO PIANO brings together many of his closest collaborators-architects, engineers, and maquette-makers-to create a "real-life" portrait of an architect who sees his profession as a living thing, evolving with time and practice. Based on the theories of William McDonough and Michael Braungart, major corporations embrace environmentally sustainable architecture and production in an ecologically-inspired industrial revolution. A profile of the Japanese architect noted for his use of inexpensive construction materials, such as cardboard tubes, used in prefab housing adopted by the UN High Commission for Refugees.